Welcome to our website Experimental Dynamic Simulation Research Group-Aerospace (ExDSRA) that focuses on applying innovative experimental/simulation methods to aerospace engineering structures and systems. This aero-research group complements and adds to our previous work on ExDSR for civil infrastructure. ExDSR is located on a separate tab and you can look at our work and research projects/activities. ExDSR was created to conduct research on the simulation of extreme natural hazards that introduces dynamic loads to structures by means of experimental methods. ExDSR research focuses on two of the experimental methods used to test structures under dynamic loads: earthquake simulators (shake table) and hybrid simulation. ExDSRA evolved from ExDSR and is currently focused on the application of hybrid simulation to aerospace structures and systems. Hybrid Simulation (HS), allows for the coupling of the Finite Element Analysis (FEA) model and physical test running at the same time. Substructuring techniques allows the researcher to partition the structure into analytical and experimental substructures providing that there is compatibility and equilibrium at the boundaries. By partitioning the structure, the researcher needs to physically test only the “critical parts” of the structure instead of the complete full-scale structure thus reducing the costs associated with full scale testing. A “critical part “of the structure can be an element, a device, a subassemblage that is new technology or it’s highly nonlinear and there are unknowns and/or difficulties on the FEA model. Therefore, the critical part you need to test but can model the rest on the structure on FEA. Hybrid Simulation and Real-Time Hybrid Simulation (RTHS) was developed and has been proven reliable on the civil infrastructure testing community with research efforts expanding for more than ten years. Dr. Cortes Delgado was awarded in 2015 a Faculty Development Grant by the Nuclear Regulatory Commission to develop a quasi-static hybrid simulation facility at the UPRM. The HS tab will have a description of the method, the equipment used for the hybrid simulation facilities and results. The ExDSRA tab will be home for our research efforts on applying RTHS on aerospace structures and systems. Again, WELCOME AND GREETINGS FROM PUERTO RICO! To advance these experimental methods and test their reliability to test structures under dynamic loads (wind, earthquake and impact). Make contributions to the scientific community by conducting state-of-the-art research at our facilities. Education and Outreach is a big part of our objectives. Education: An experimental course for junior-senior undergraduates and graduate students is under development to engage and teach them from: test design process, setup, actual testing, processing of results and dissemination of technical information. Outreach: We want to engage and teach the Puerto Rican community about these natural hazards and how to prepare our structures for them. Outreach activities from 10-12 grades are under development for the students to experience some of these loads and get an introduction to dynamics of structures at the same time. This project is funded by the United States Nuclear Regulatory Commission (NRC). Grant No: NRC-HQ-84-15-G-0032. 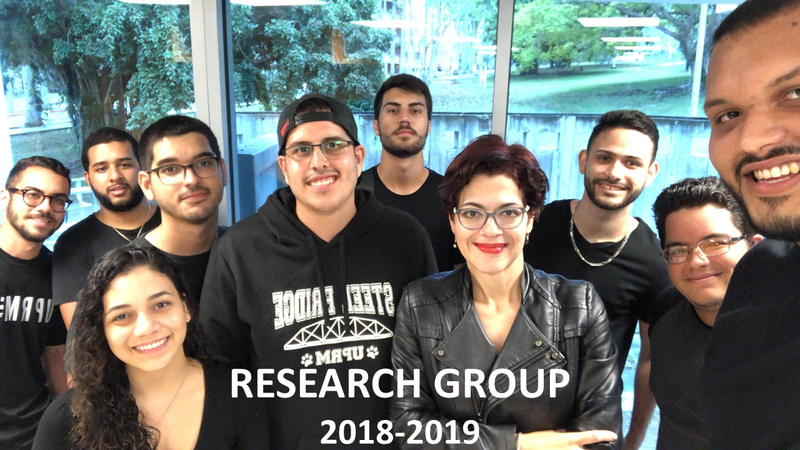 The University of Puerto Rico at Mayaguez Faculty Development Program: Structural Engineering for Nuclear Facilities – Experimental Research Initiative.